Discretionary scalpers or very active day traders may find that they trade well when they get into the market flow. However, recently I learned there are some negative sides to flow states. In particular, there is a risk that the trader ends up executing in auto-pilot mode without considering the account risk or why they are placing certain trades. This state is similar to flow except it in flow states the mind is sharper, awake, and considering super-normal amounts of information. 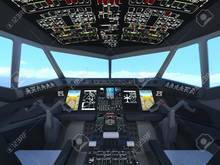 Auto-pilot mode is very similar except the mind is not as aware: it is more similar to sleeping. If you’ve ever thought after placing a trade or series of trades, “Why did I do that?”. There is a good chance you were in “auto-pilot” mode. You were probably not thinking or considering the risk or why you were entering the trades or you knew the trade was a mistake. And, I suspect that traders who trade in “flow states” and/or are highly discretionary are more at risk. Do not trade or try to capture flow states except during peak performance times. It seems for me that “auto-pilot” mode seems to be more likely when I’m tired or trading off times. Make a plan before hand. Set process and performance goals. Take a brief moment to consider why you are entering into a given trade. For myself, my thinking is normally very clear when trading even though it is not as clear after the fact why I made certain decisions. However, taking a brief moment to consider if the trade fits with the plan can help. Set risk rules and follow them. Shut down if you have too many losers or give back too much at once. Be aware that large winning days or sessions can offset one as much as large losing days. Focus more on your process. Take breaks. Take a moment after a loss to re-evaluate. Build your own assistance bot. More up in the next post but imagine if you had an Amazon Alexa or Google Echo to help remind you of what you should be doing.